(EDITOR'S NOTE: Akamai readers will spot the name of Frances A Boyle in paragraph 11 of this August 27 report from the Investigative Project on Terrorism. Boyle, a University of Illinois Professor who works for the PLO and the Beslan babykillers' Chechen rebel "government", was funded by the Hawaii State Office of Hawaiian Affairs (OHA) in December, 2004 to tour all the Hawaiian Islands along with pardoned-convicted-felon-sovereignty-activist Bumpy Kanahele. His advice to Kanahele and all Hawaiians? Emulate the PLO. Boyle has also worked with Perfect Title mortgage scammer, convicted felon Keanu Sai. BTW, how many of Sai's victims now live on the beach in Waianae? Akamai readers will also note that this article gives a look into the behind the scenes activities of an Islamist group which leads in efforts to establish "interfaith dialogue." More than a few wooly headed Manoa liberals--and all but three Hawaii Legislators--have been suckered by a similar con game. READ: Hawaii “Islam Day” secretly marks September 11. More details below. ISNA made no comment about pro-Hizballah comments by author Cathy Sultan, who said she could "see no reason why Hezbollah should not remained armed." It feigned ignorance about invited speaker Warith Deen Umar's radicalism and bigotry, even though his book was available at the convention and is excerpted on Umar's own website. In The Palestinians' Holocaust: American Perspectives, an introduction say the book "features a myriad of diverse voices, whose individual and collective observations will no doubt underscore why the plight of the Palestinian people must be seen as a genocide and present day holocaust!" ISNA was included on a list of unindicted co-conspirators in the case and evidence showed that HLF used ISNA bank accounts to route money to the Middle East. Similarly, HLF board member Jamal was individually listed as an unindicted co-conspirator for his role as a fund raiser for the defunct HLF. The true measure of character is determined by what is said and written when people think no one is paying attention. 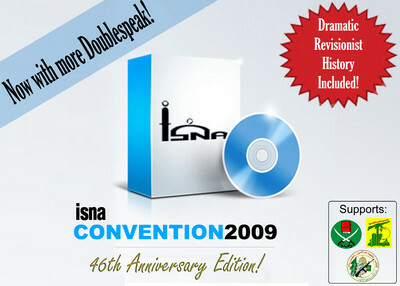 The literature promoted at last month's convention shows we may not really seeing what goes on behind closed doors with ISNA. Dennis “Bumpy” Kanahele, candidate for OHA at-large Trustee, is a twice-convicted felon, pardoned by Governor Ben Cayetano in 2002. In spite of being politically active at the time, Kanahele managed to do nothing significant enough to land his name in the Borken Trust book. Kanahele calls for Hawaii to secede from the United States. “THAT: Any claim to the office of King, in, of, and for the Kingdom of Hawaii, including but not limited to, those made by Dennis "Bumpy" Kanahele, are fraudulent impersonations and usurpation’s of authority not supported by the fundamental law of the duly recognized Kingdom of Hawaii nor under the mandates of the Law of Nations. Kanahele has an intense interest in money. He led a Hawaiian group inside the 2001 Honolulu meeting of the Asian Development Bank and, according to his campaign biography, has also worked with the Federal Reserve Bank.